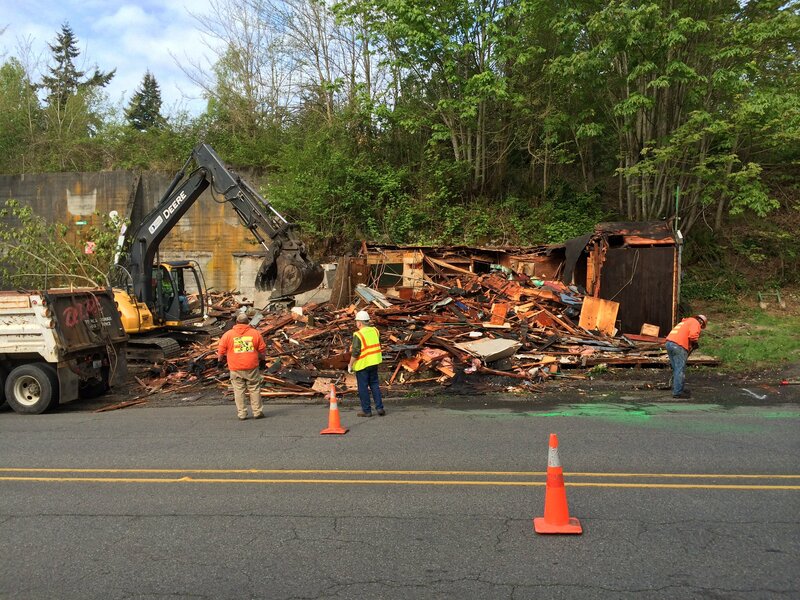 This morning, crews knocked down the already precarious structure that long housed Bremerton’s historic Maple Leaf Tavern. Crews from the city’s streets department will continue to clear debris from the area throughout the day as the once treasured bar-turned-eyesore is fully removed. In case you missed it, we wrote a lengthy piece about its history in Saturday’s paper. 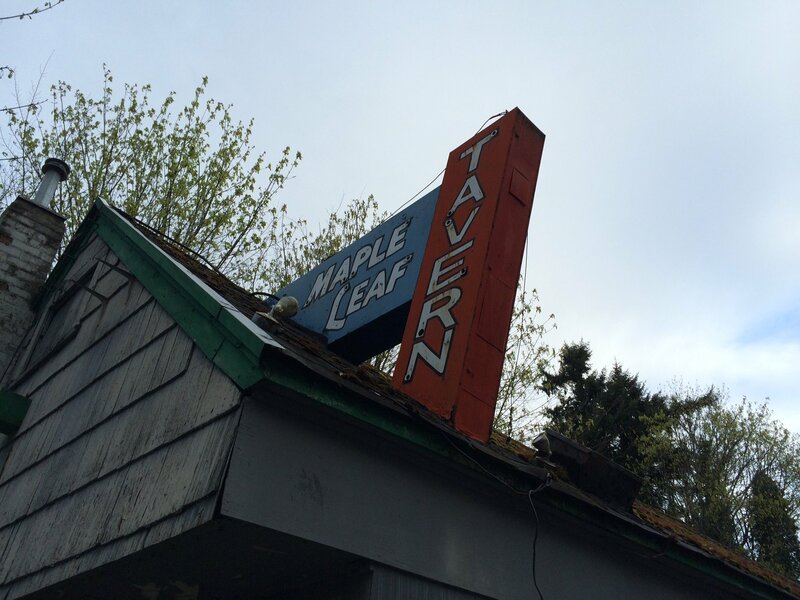 The clearing of the Maple Leaf makes way for the Lower Wheaton Way street project, to commence in late May. I’ve passed by the Maple Leaf each day for quite a few years now, and it will be weird to see the road without it. I’ve been asked by a few people about whether a memorial will be placed at the site. I asked Bremerton Mayor Patty Lent if anything was in the works. She said no, but she hadn’t consulted the landowner, John Stephanus, who also owns the nearby Bremerton Gardens. Gone is its home, but no doubt will it will live on the memories of those who went there.